Hello! I'm finally starting to get back into the swing of painting my nails, and I'm beginning my catch up with Mani and Lola's December box. If you missed my swatches and thoughts on their debut box in November, you can find my post here. 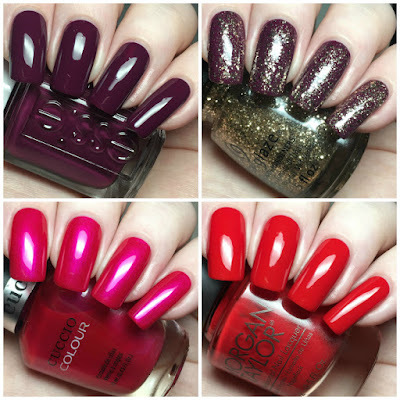 A fair few bloggers mentioned that they would appreciate a few more polishes for Decembers box, and thats exactly what Mani and Lola gave us. Read on for my full swatches and to see everything that was inside! *My nails are slightly shorter due to a recent break, but they'll grow out in no time! 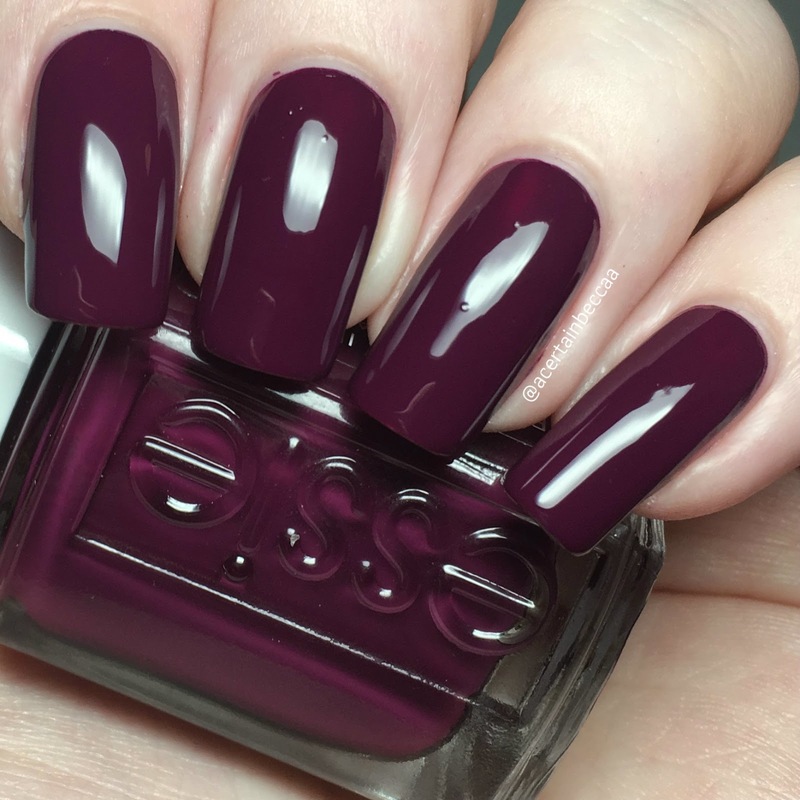 First up for polishes is Essie 'Designated DJ', a rich plum purple creme. This is from Essie's Spring 2017 collection, so a fairly recent polish! 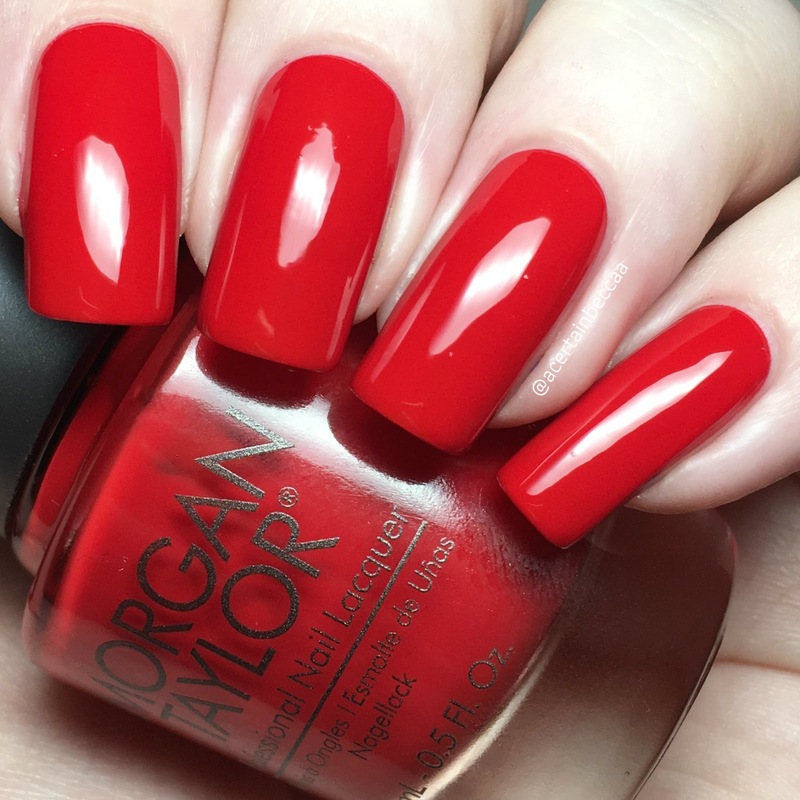 The formula is smooth and easy to apply, and is opaque in two coats. This can get a little patchy if you overwork it, so you may need a third. Below is two coats with topcoat. Next is China Glaze 'Big Hair & Bubbly', a clear base packed full of gold glitter in various sizes. This is another one from a 2017 collection. You could wear this on it's own, but I've seen it layered over 'Designated DJ', and couldn't resist doing the same. It applied easily and spread out evenly. Below is one coat (with topcoat) over 'Designated DJ'. 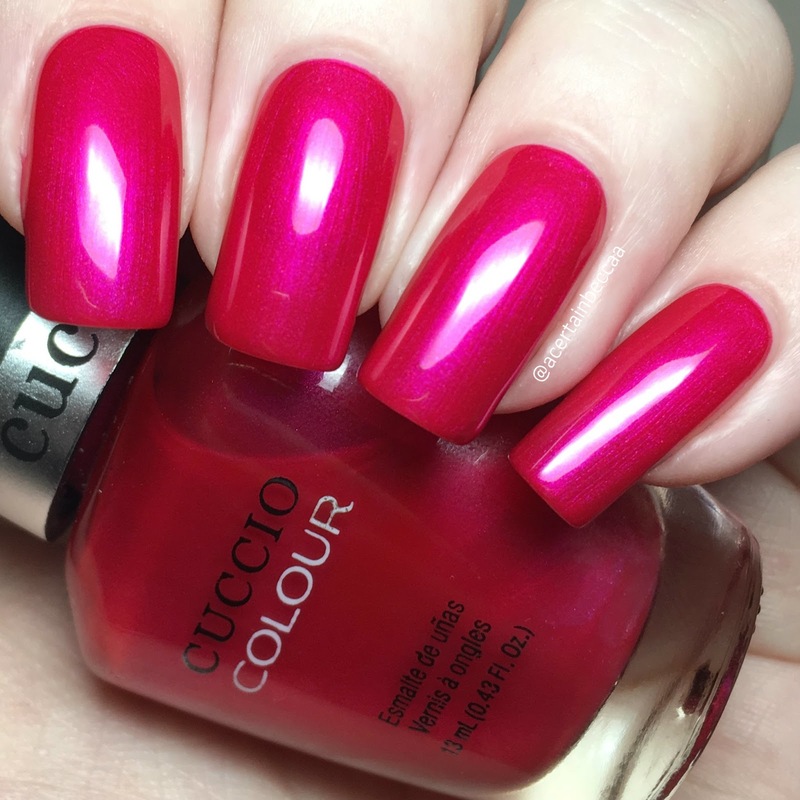 Next is Cuccio 'Red Lights in Amsterdam', a pink base with a bright pink shimmer. The formula is smooth and easy to apply. I have seen a few people get this opaque in two coats, but I could still see my nail line so added a third. Below is three coats with topcoat. Last for polish is Morgan Taylor 'Who Nose Rudolph? ', a bright red creme. It has a lovely, smooth formula. I often find reds quite sheer, but this has good coverage. I did need a second to cover my nail line fully, but it applied evenly and easily. Below is two coats with topcoat. From Mani and Lola themselves, we have a buffing block. I don't tend to buff my nails often, but I do every so often when I need to smooth my nail surface of any snags. My current one is getting a bit old so this will serve as a nice replacement. For nail treatments, we recieved a full size bottle of Essie 'Call it Even' topcoat. This claims to smooth and seal, being a 'thick, cushioning topcoat' and is intended for nail art such as dots, texture, and glitter. If this works it could be a go to product for me! Our final extra was a pink Tweexy nail polish holder. This is my second Tweexy, and to be honest, I've never used either. I can definitely see how they would be useful for other people though! What do you think? Was Decembers box your cup of tea? It did have a bit of a pink feel overall, but being a pink lover I was more than happy with that. I was also impressed that not only did we have more actual polishes than last month, but that some are quite recent releases! I look forward to seeing Januarys box. You can find out more about Mani and Lola and subscribing here. 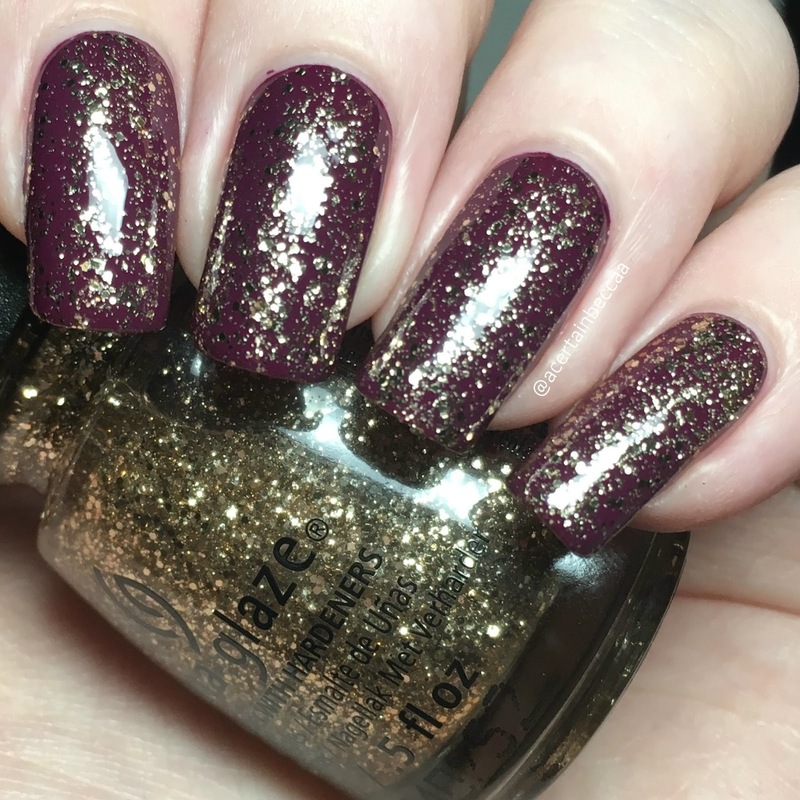 Labels: Big Hair & Bubbly, China Glaze, Cuccio, December, Designated DJ, Essie, Mani and Lola, Morgan Taylor, Red Lights in Amsterdam, Subscription Box, Tweexy, Unboxing, Who Nose Rudolph?